Formally a sugar plantation town, Koloa is Kauai’s largest south shore town. It encompasses the beach area of Poipu. 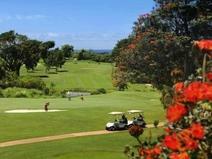 Poipu is known for it’s sunny weather, people friendly beaches and resort amenities. Poipu Beach Park has a sheltered area for children to swim. Poipu is also known for great surf spots such as Waiohai, Prince Kuhios (PKs) , Acid Drops, Shipwrecks, and Breneckes. Also located in sunny Poipu is Kukuiula Harbor. Kukuiula Harbor in Poipu is a small boat harbor great for the recreational fisherman. Besides surfing, swimming, snorkeling and fishing, sunset gazing is a main activity in Poipu. Poipu & Koloa Town both offer world class shopping and dining. Although it is a small town Koloa offers most modern conveniences. There are grocery stores, doctor offices, banks and a post office in town. A weekly farmer’s market is held every Monday at the Anne Knudsen Koloa Ball Park. Koloa Elementary School is located here. Poipu offers an array of resort condominiums as well as oceanfront homes for the vacation homeowner and residences for those individuals wanting to live close to the beach. Koloa & the Omao area of Koloa contain more owner occupant homes for the full time resident in a variety of price ranges.